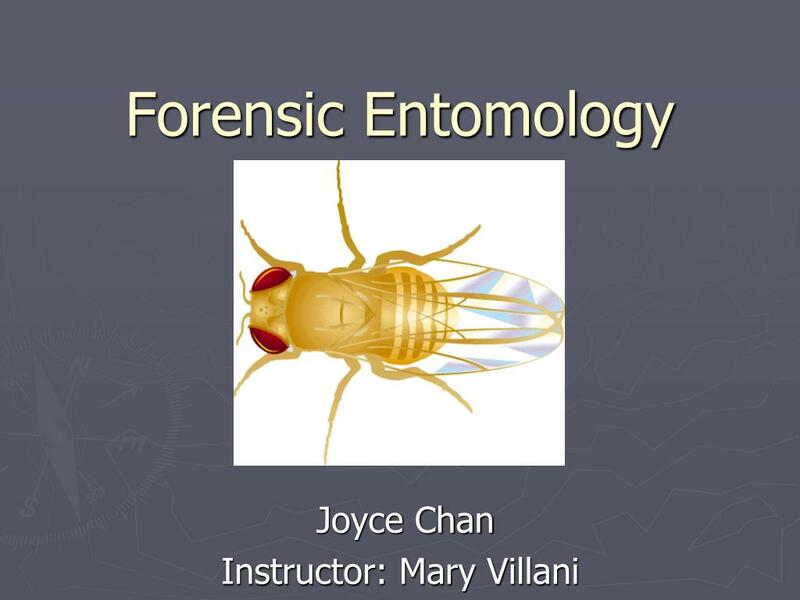 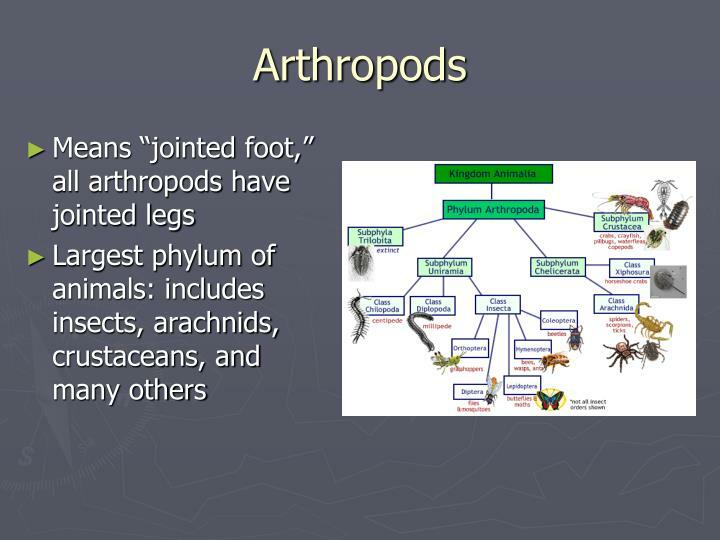 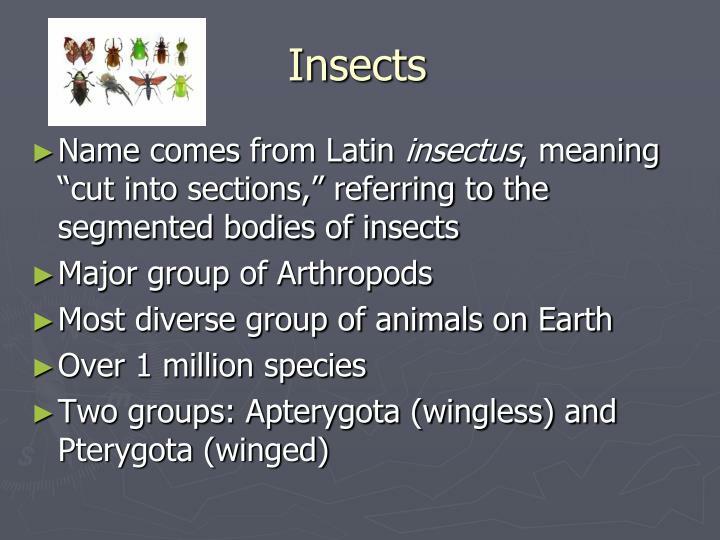 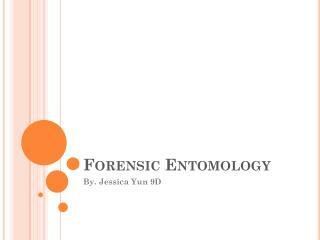 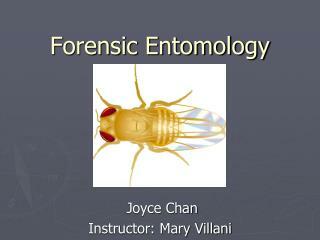 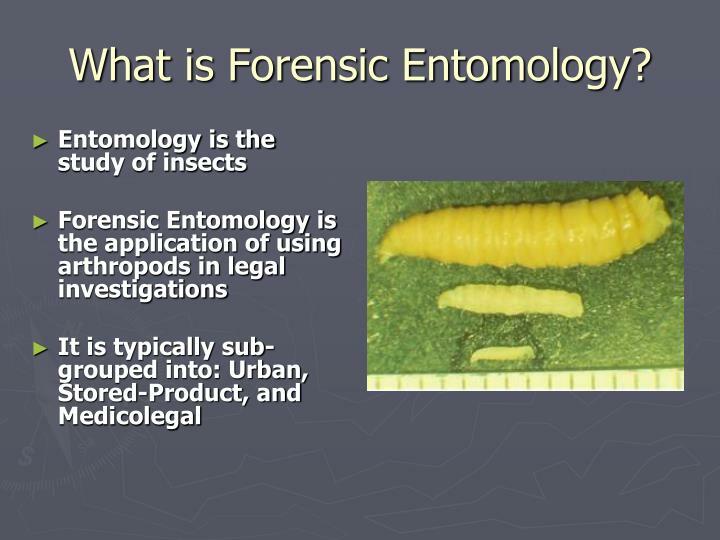 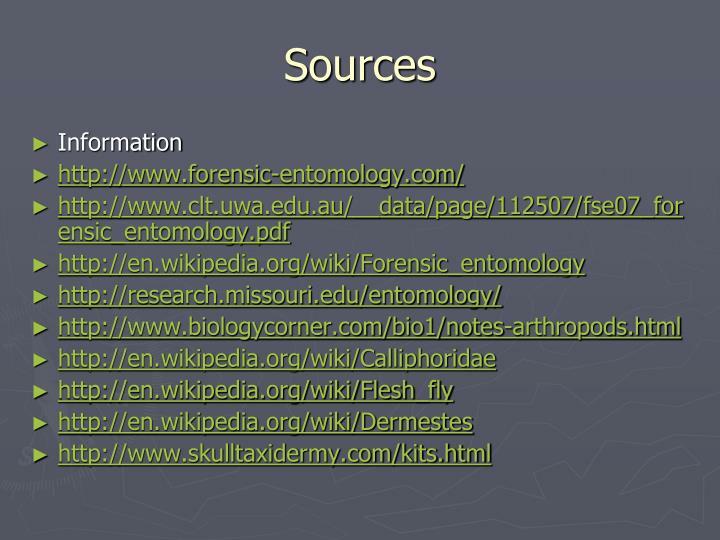 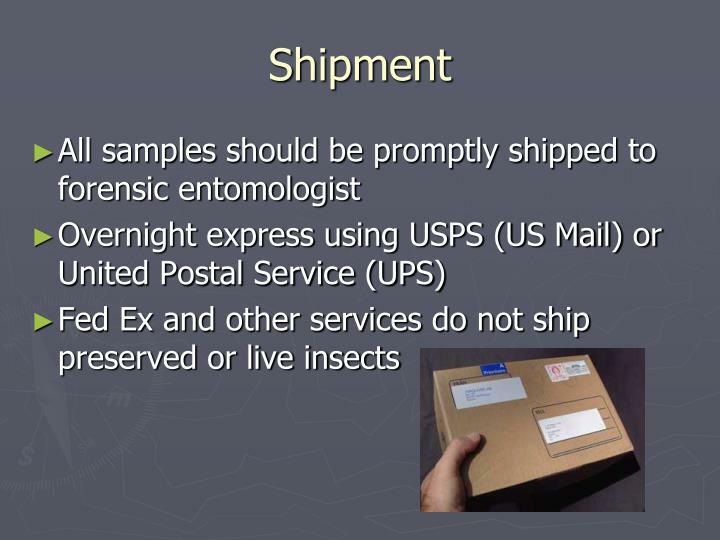 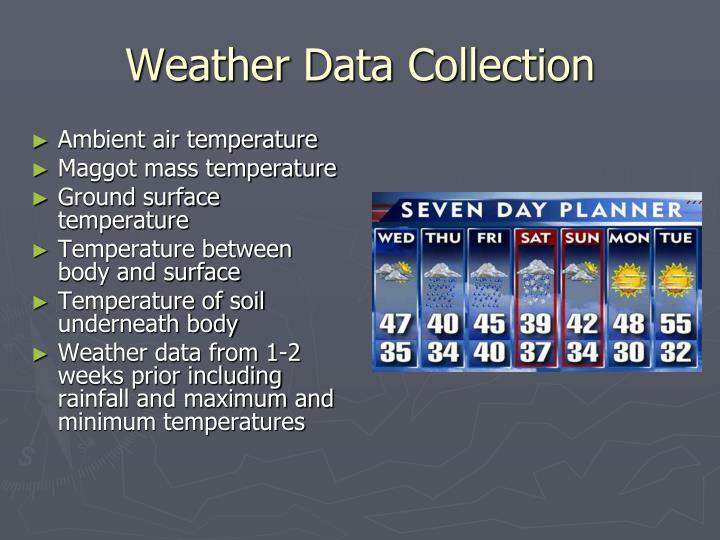 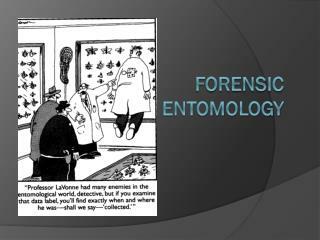 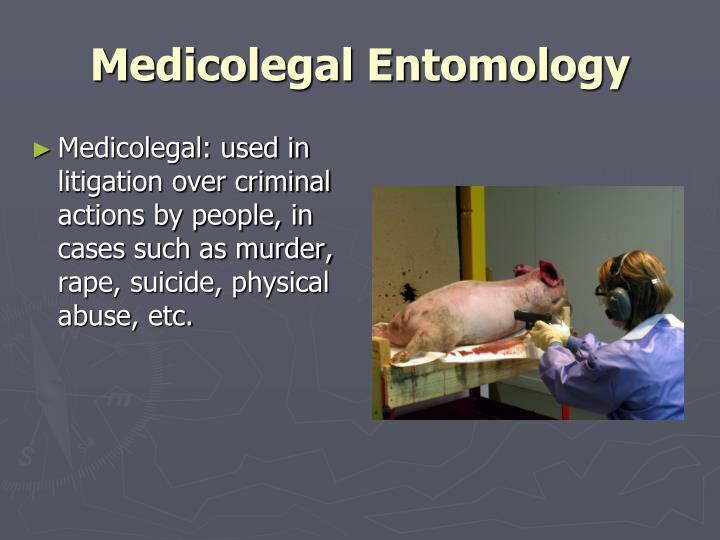 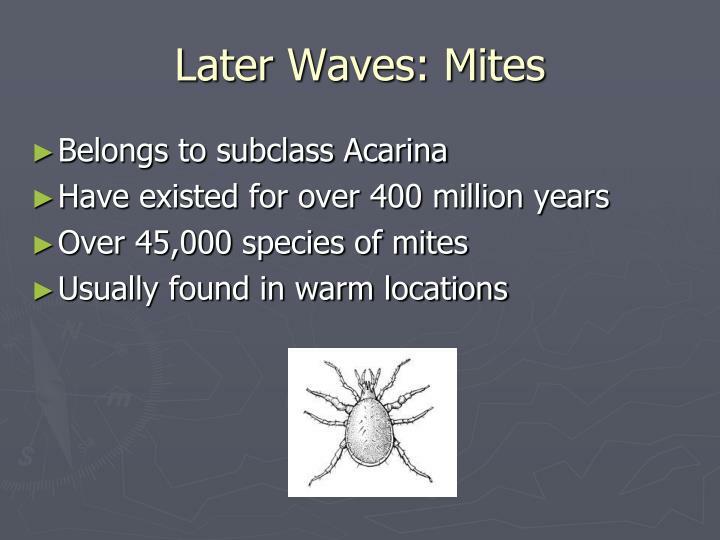 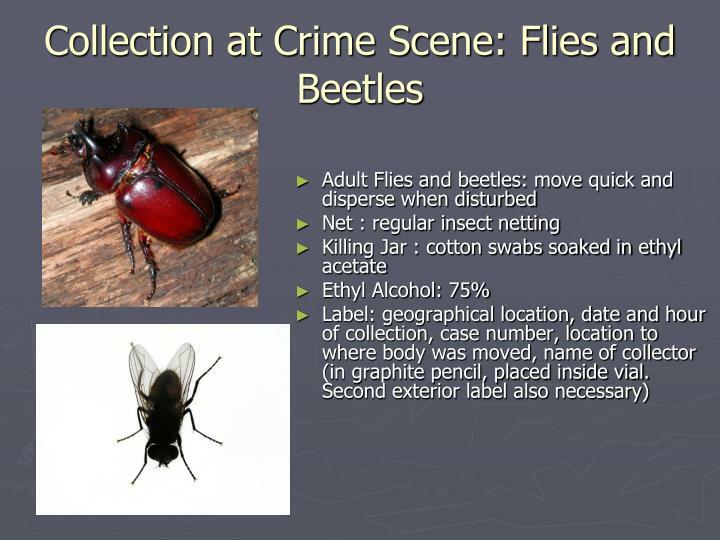 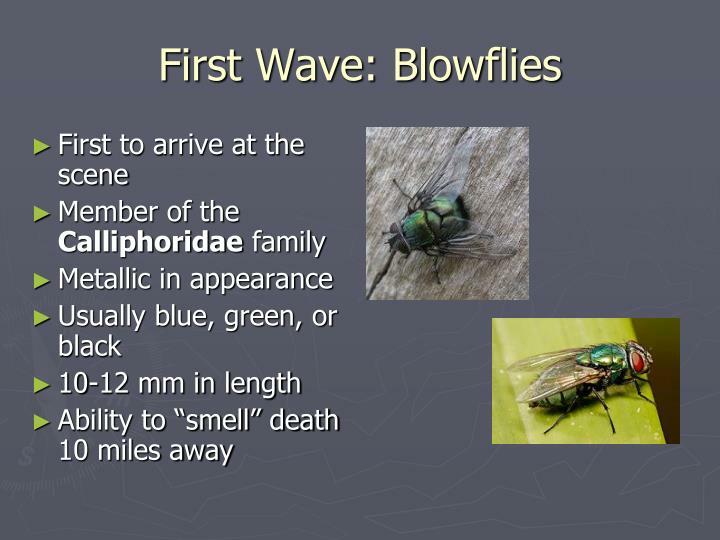 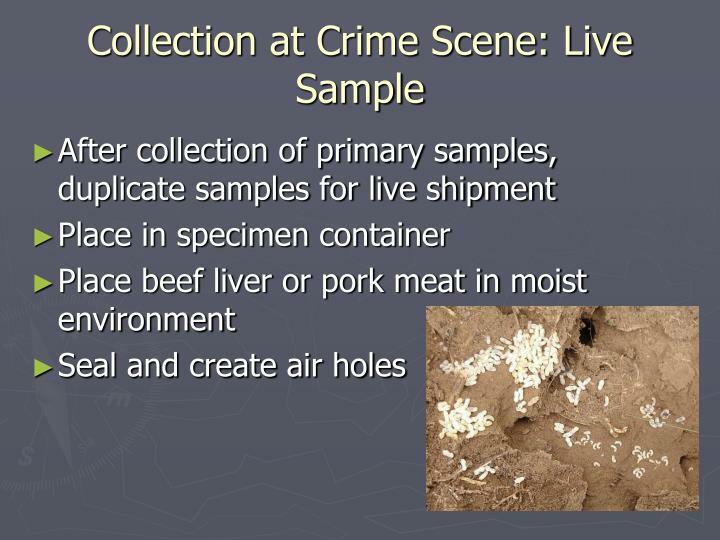 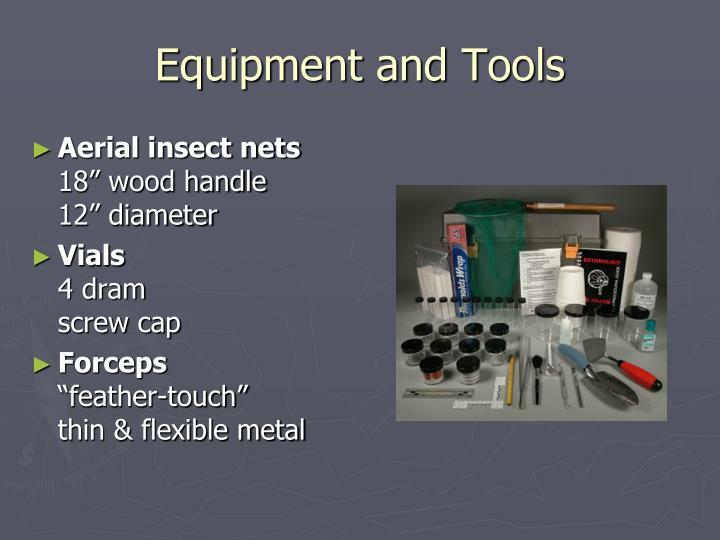 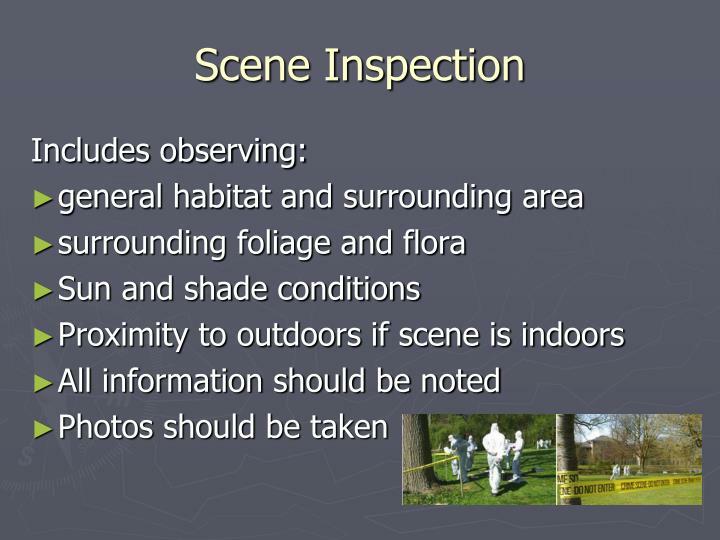 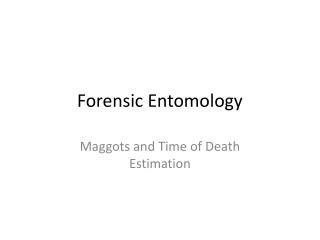 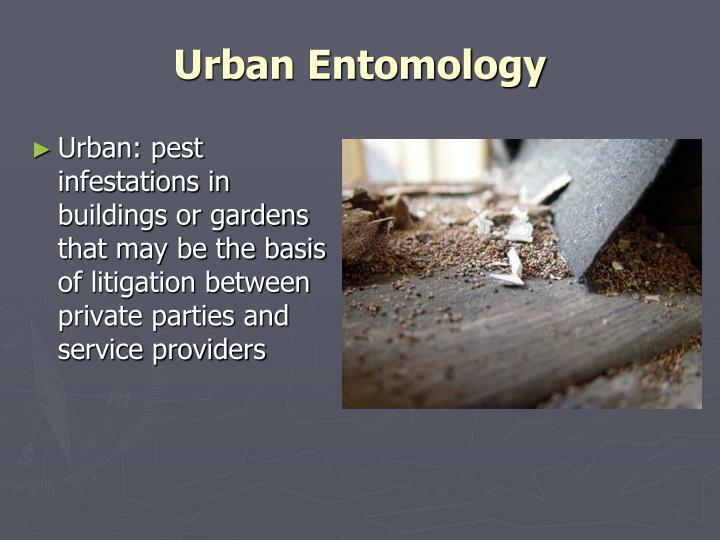 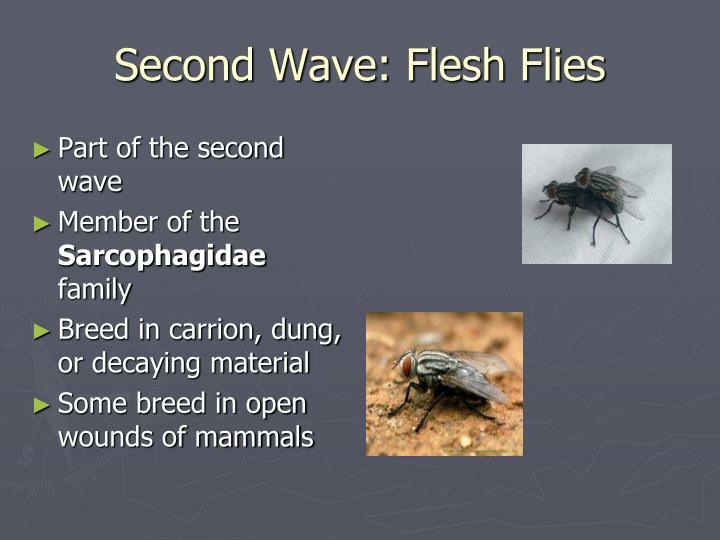 Forensic Entomology Joyce Chan Instructor: Mary Villani Entomology is the study of insects Forensic Entomology is the application of using arthropods in legal investigations It is typically sub-grouped into: Urban, Stored-Product, and Medicolegal What is Forensic Entomology? 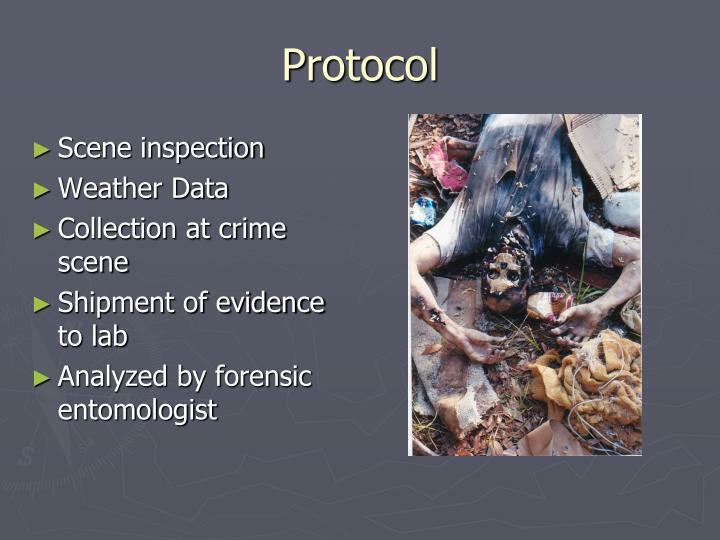 A murder by slashing occurred in a village, and the local death investigator was ordered to solve the crime. 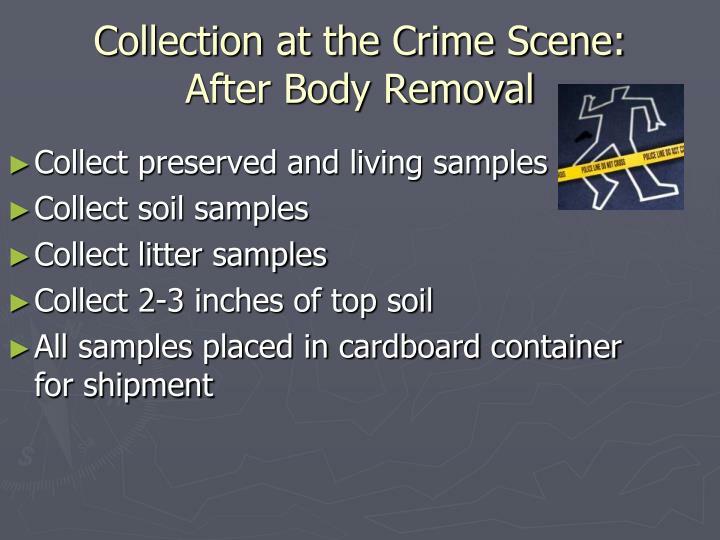 The investigator had all villagers bring their sickles to one spot and lay them out before the crowd. 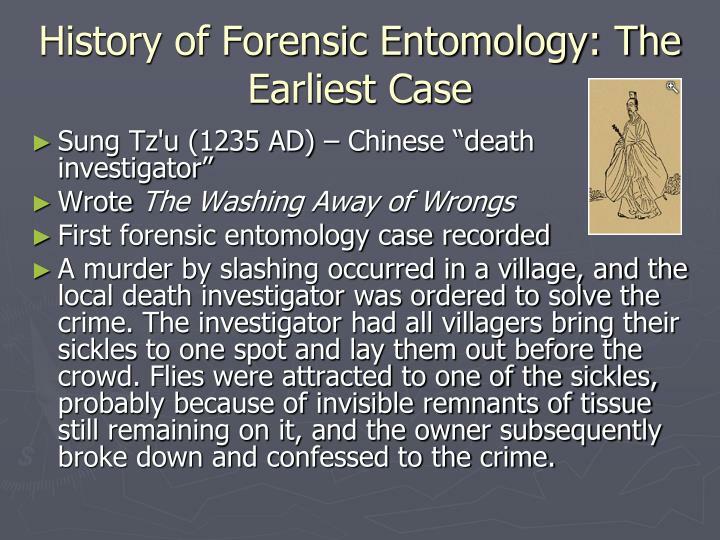 Flies were attracted to one of the sickles, probably because of invisible remnants of tissue still remaining on it, and the owner subsequently broke down and confessed to the crime. 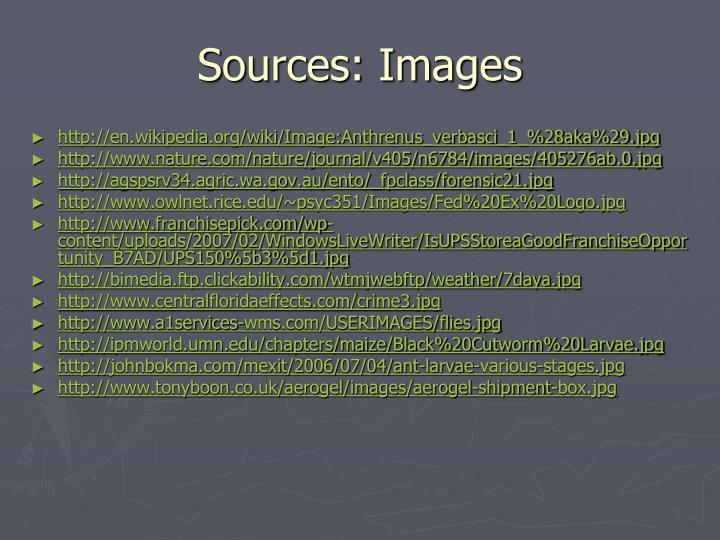 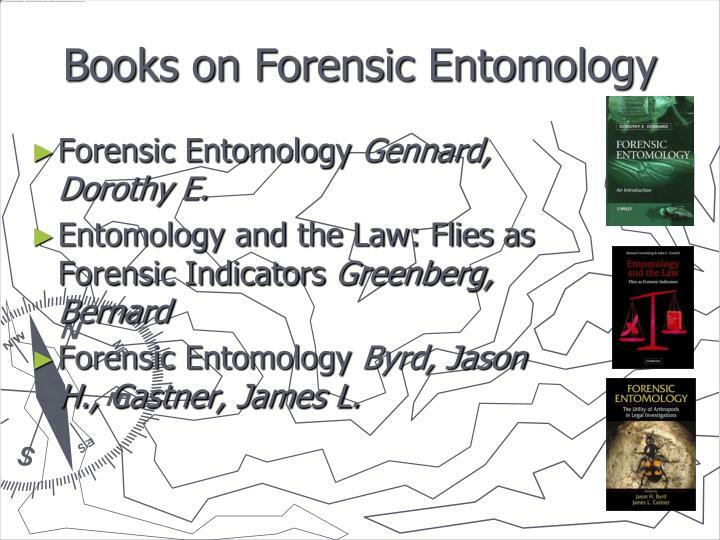 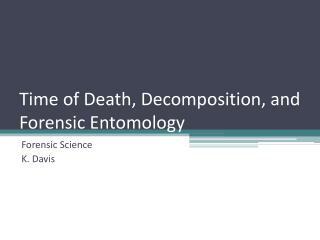 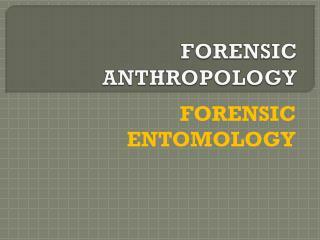 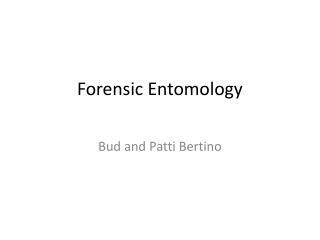 Forensic Entomology Gennard, Dorothy E.
Forensic Entomology Byrd, Jason H., Castner, James L.
FORENSIC ANTHROPOLOGY -. 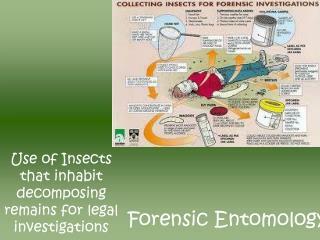 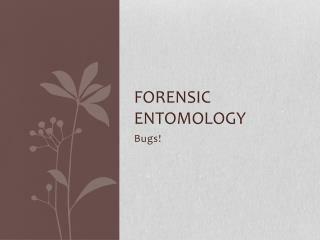 forensic entomology. 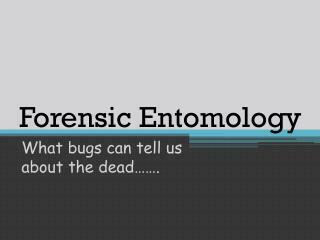 question of the day. 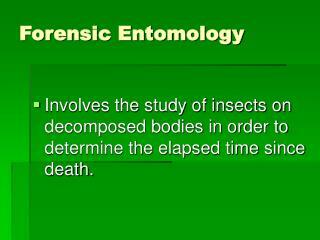 what is the most important piece of evidence forensic entomologist can determine from a dead body? 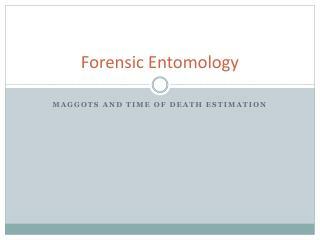 a. time of death b. cause of death c. location of death d. all of the above. 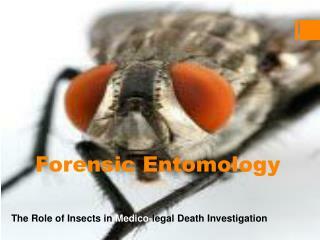 Forensic Entomology: -Identification of fly species for estimation of post mortem interval (pmi) in ummc. 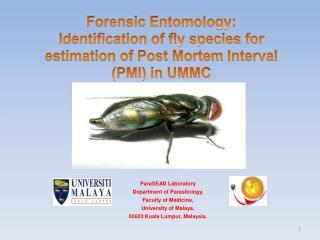 parasead laboratory department of parasitology , faculty of medicine, university of malaya, 50603 kuala lumpur, malaysia . 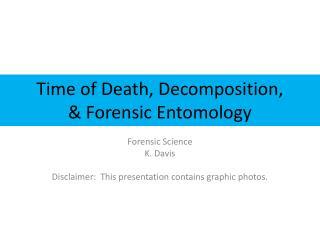 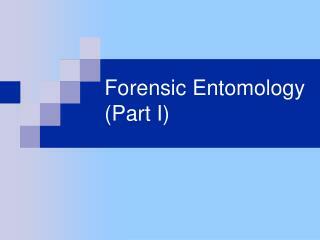 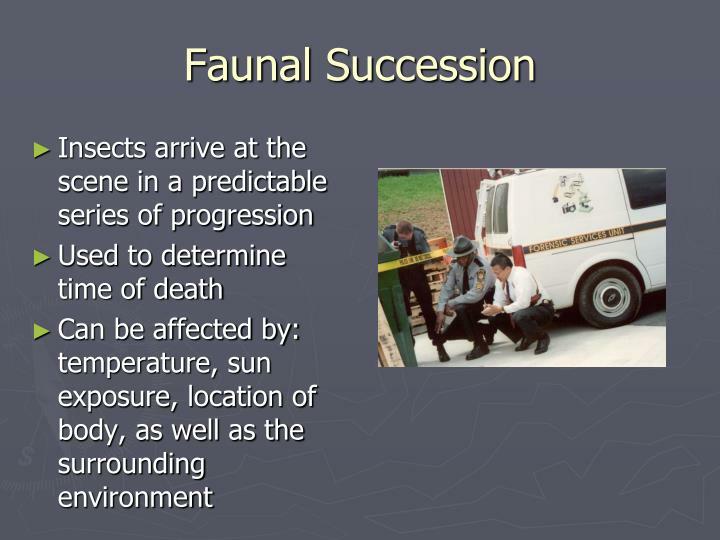 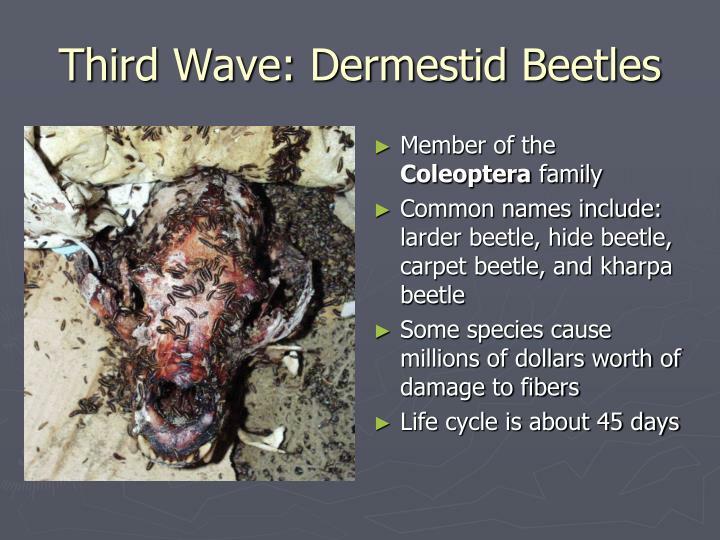 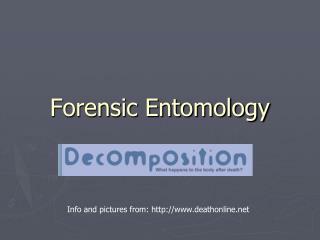 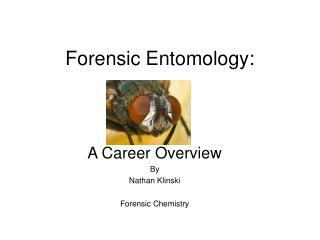 Forensic Entomology (Part II) -. 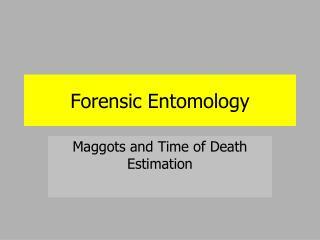 maggot crop analysis. 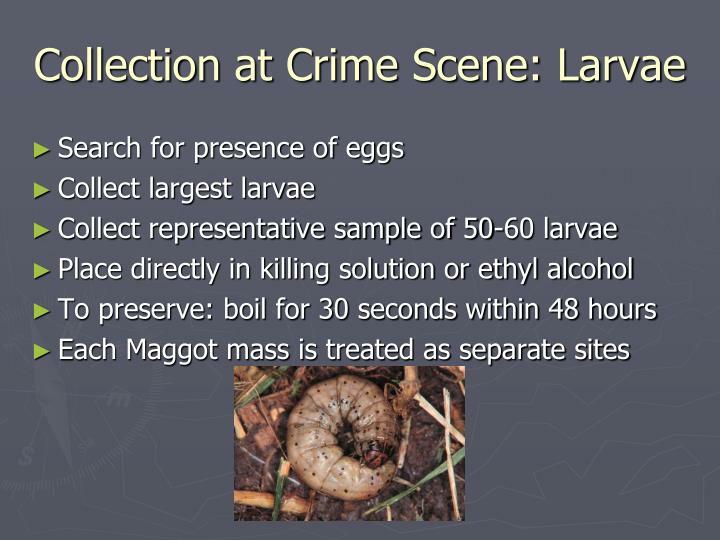 maggot as a source of human dna. 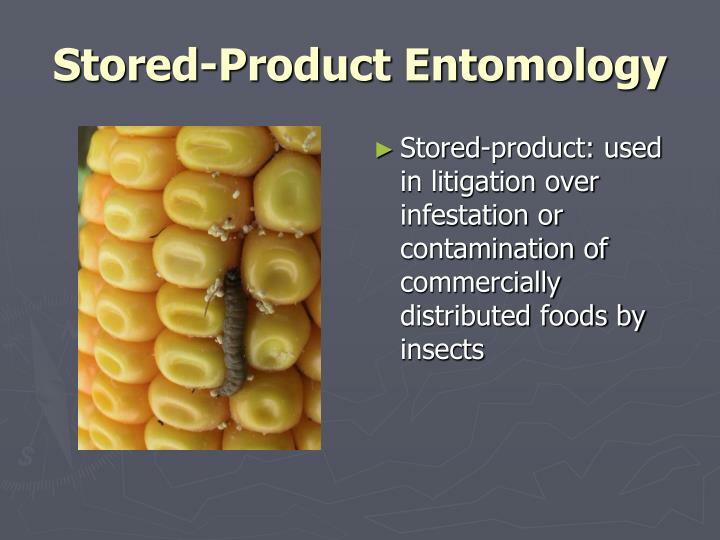 maggots store food in their crops as they feed. 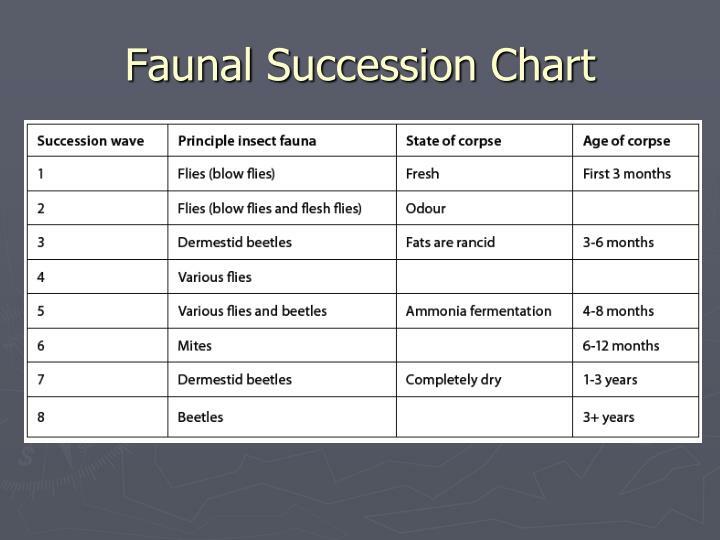 during later stages of larval development, the contents of the crop is emptied into the gut. 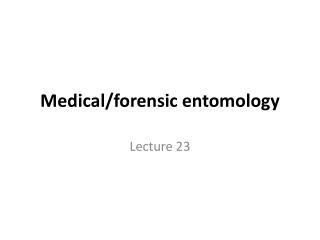 crop. 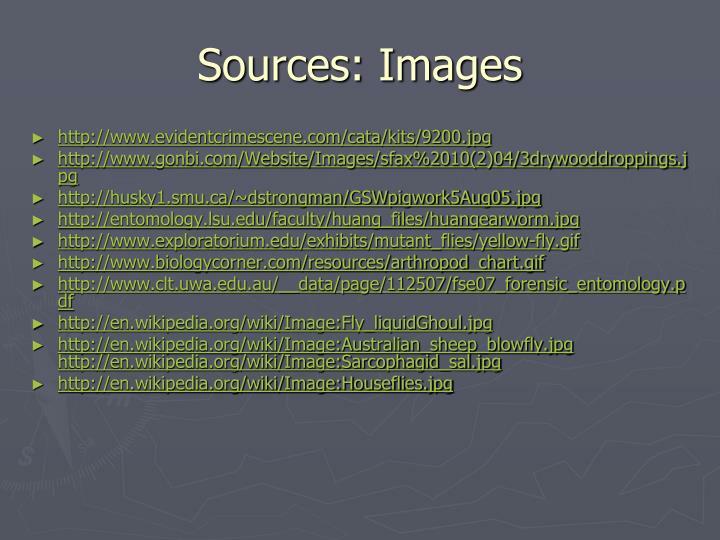 mouth.